27 minutes. 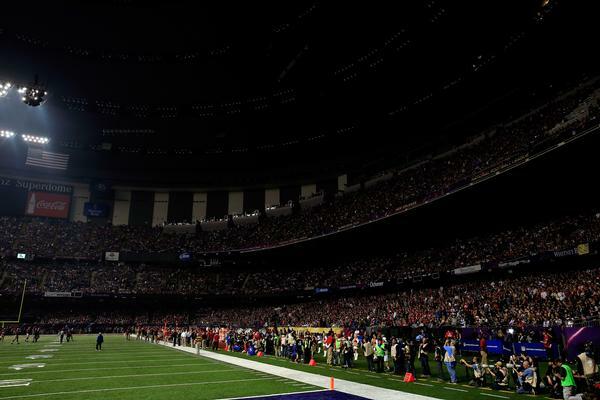 That's how long the lights were out in the New Orleans Superdome during the Superbowl yesterday between the San Francisco 49ers and the Baltimore Ravens (Baltimore ended up winning it 34 to 31). As we tweeted last night, the Buffalo Wild Wings guy went too far this time! But seriously, $8 million dollars a minute for TV commercials and nobody could pay the light bill? What gives? What were some of your favorite Superbowl moments or commercials?